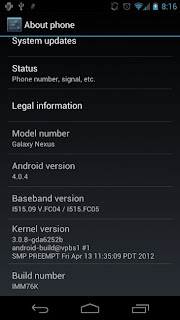 Long-suffering G-Nex owners on VZW, your prayers are answered! 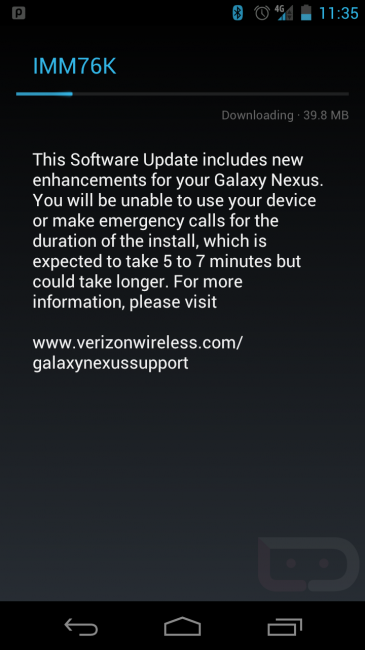 Verizon Wireless is now rolling out the official Ice Cream Sandwich update for Samsung's Galaxy Nexus. Yes, your phone that was delayed at launch and received a botched ICS update only to then disappear into the black hole of Verizon Customer Service...you and your beleaguered device will finally receive your just desserts. 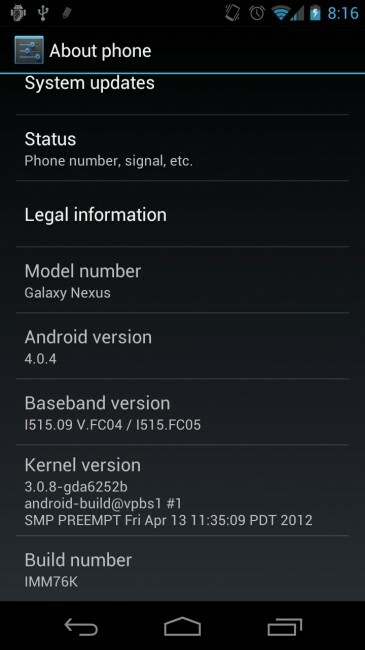 On tonight's menu, your dessert will be a generous 39.8MB helping of Ice Cream Sandwich v4.0.4. 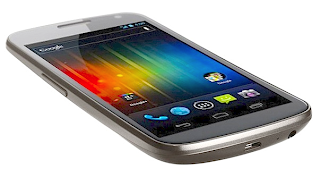 VZW's version number is IMM76K -- same identifier that was spotted on Galaxy Nexus in-store demos and corporate units, at the beginning of the month. Looks like Verizon played it safe, allowing time for a long-term soak test. Did you read this far without checking to see if your update came through? ...and maybe sooner than you think. Don't waste another minute -- go check your Nexus. If there's no notice of an available update, we know two ways you can stay entertained while waiting: (1) Click our source link to see if Verizon has posted any new information; (2) navigate to Settings > About Phone and start pounding that 'Check for Updates' button. Good luck! And, please, when you get the update be sure to let us know in the comments.